The Freckled Fox: Happy Birthday to The Freckled Fox! Happy Birthday to The Freckled Fox! Its today guys! Two years ago today I started blogging my personal thoughts and feelings to complete strangers all over the world. I pushed aside my hesitations and took a leap of faith in the hopes that by doing so that I could inspire even some small bit of positivity or inspiration in some small group of people. I posted pictures that were maybe awkward (hey I still do that! :)) and I said some things without thinking too much about them, but I've learned a lot since that shaky nervous beginning, and I couldn't be happier with how far I've come! To answer those who have asked what my favorite thing about blogging is, I will say without hesitation that it has been the friendships that I've made, and this ginormous community that's been opened up to me full of the most ambitious, creative, strong, and beautiful people that I've ever met. I love you guys so much, and I can never ever repay you for all the love and support you show me on a regular basis, but I hope you know that I try to constantly and always will:) K enough with the mushy stuff now and on to some major awesomeness! 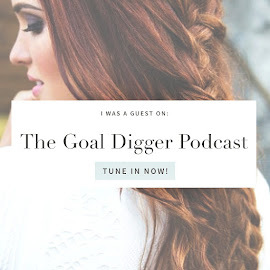 I can't wait to hear all of your blog and business goals, and I'm so excited about the special content that I'll be posting every day this next week, and every week after really! This has been such an incredible journey, and I've learned so miuch in the last couple of weeks about where I want to take this baby of mine. Happy Birthday little blog! And thank you all again so so much for supporting me and being friends that I can rely on and that make me happy every day. Have a graet weekend, and I'll see you back here tomorrow! I'm a freelancer and hope that in 2014 I can pay back all the loans/debts that I needed for launching my business last year. Congrats! I would love these books, starting my business/building my brand has something in the forefront of my mind this new year. I'm really trying to start taking myself seriously as a businesswoman, I just need the confidence and now some more information to get me going. Congrats on the two year birthday for your blog! Oh! These books look amazing! I've been reading a lot to prep for my dream of blogging/writing! Every time I read your blog I feel inspired to pursue my dream! These books would definitely be put to good use! Thank you for posting (and for the opportunity) and congrats on your 2 year anniversary! I would love to gain more followers this year and continue to improve on my photos. I would love to gain more followers and continue to improve my pictures. I've been working a lot more on my blog lately and I would love to read all these books! Congrats! 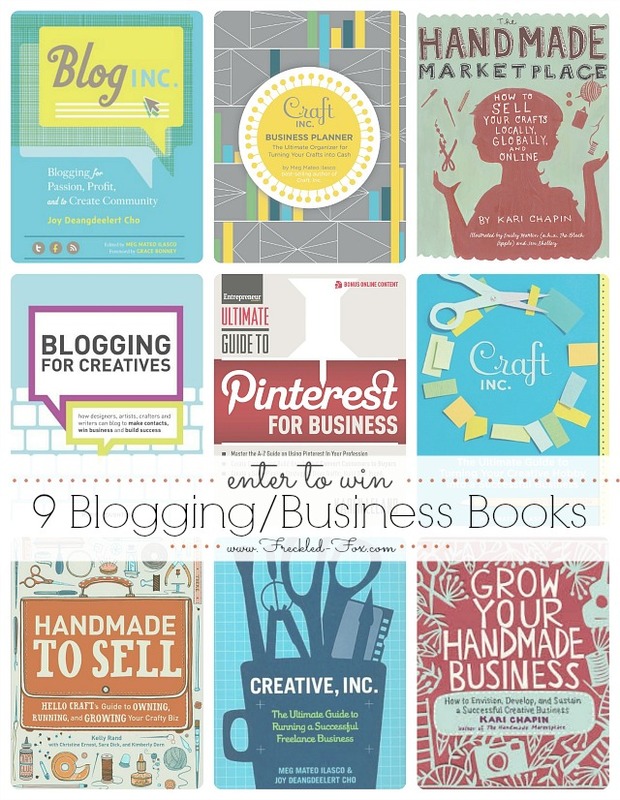 These books would be very helpful to me because I am launching an etsy shop this month! My goals are relatively modest, but I would love to sell 4-5 items a month! Happy blog-iversary! A goal I have for my business is a newly designed website! My goal for my blog this year is to be very real while also balancing the creative side of me. Happy Anniversary, and what an amazing giveaway! Wow, has it only been two years? It feels like you've been blogging forever. I'm starting a new Etsy shop with my boyfriend this year, so doing that as well as I can is my goal for the year. My friend gave me Craft Inc years ago and I'm re-reading it. These books would be so helpful this year. This year I'm hoping to monetize my blog and launch a newsletter. My dream/goal for my business would be to see my accessories in a major magazine! And for my blog I really just want to inspire and connect with my readers on more of a personal level..Happy Blog-Birthday!! The selection of books in this giveaway is awesome! They'd be so helpful in rebranding my blog and business! Happy blogiversary! So glad you decided to leap into the blogging world. It's been great getting to know you. Looking forward to many more years to come. XO. I would love to learn how to sew! Congrats! 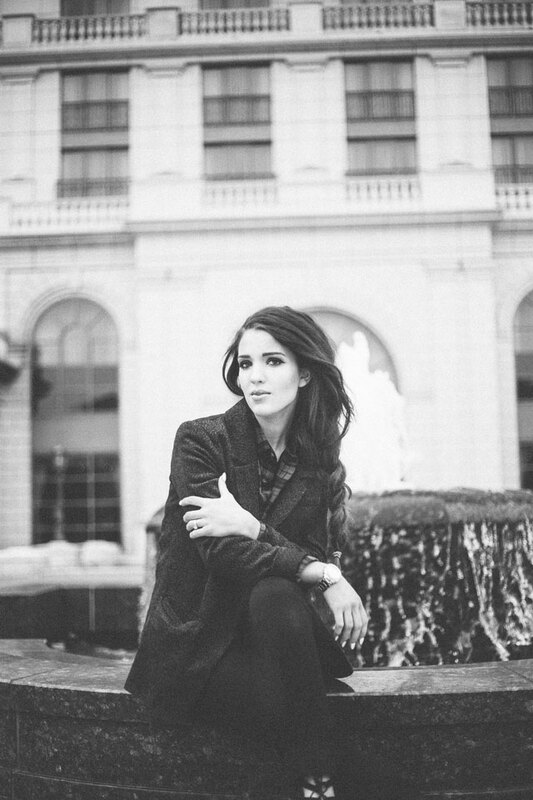 Your blog is one of my favorites! Happy blogiversary!! My blogging goal is to write more thoughtful posts! I love this giveaway and it couldn't come at a better time for me. I have been really pressing into the direction of my blog. these tools would be amazing to help me fine tune where im going. I have (and have used to great extent) Craft Inc. and Handmade Marketplace. The rest of this bunch look seriously awesome as well! Happy anniversary! I can't believe you've only been at this two years! You've certainly inspired me into working on my own blog and I only hope to have even half of your success two years from now. Winning this giveaway would certainly help! ;'h keep up the great work! I love reading about you and your life! Happy 2 Years!! I am hitting the same mark this May. I have hopes to grow my blog into much more this year. It is still small but I'm learning as I go and would love to create my own niche in the blogging world. These books seem great, if I don't win I will definitely be purchasing a few of them. I have new questions every day... Can't wait to see what you have coming up next! I would love to win tese books! You've really been an inspiration to me to start my own blog and I love following yours! I can't beleiev you've only been at it for 2 years! Congratulations on this milestone and please please keep up the great work! I really want to get into blogging for real this year, and these books all look so lovely! So many good books! I just started reading your blog a few months ago, but now I am a daily reader! Congratulations! I hope and dream to be in your shoes 2 years from now! I literally just starting blogging 2 days ago. You inspired me to start it. I really want to grow and become the amazing blogger that I have the potential to be. These books would help with that tremendously! Fingers and toes crossed. Congratulations on your blogs 2 birthday! Some fabulous prizes. I see a lot of great things happening here,love the blog. Happy Birthday to the Freckled Fox! 2 years! Woo-hoo! Congrats! As for me, this year I'd like to open my own Etsy shop. I make lovely bags and my friends keep telling me I should start selling them...I hope to be able to do it soon! I would actually like to win these for my mother who has recently started a business and blog called Stillnight Studio. She is a weaver/knitter/spinner. She would love to have a boo at these books. As for me, this year I'd like to open my own Etsy shop. I make lovely bags and my friends keep telling me I should start selling them...I hope to do so soon! Congrats and Happy birthday to The Freckled Fox. I would like to get my blog going and am working on starting a design business with a friend. Congrats and Happy birthday to The Freckled Fox! I would like to get my blog going and I'm working on starting a design business with a friend. I'd love to get halfway through my story I'm writing right now! Thanks for the giveaway! I have some cooking goals that I'd like to share! These are some great books - would definitely love to get some of those! Looks like some great books - would love to get my hands on them! Congrats on a incredibly successful first two years! I would love to grow my blog organically and be on the forefront of all seo components! Congrats on two years! Seeing how far you have come in two years is extrememly motivating to me. Having become friends with some local bloggers this is a world I am really excited to break into even more. For this year, I want to work on building followers and breaking into a grove by being confident in myself and working hard! I hope to continue blogging and discovering new blogs. I just enjoy the whole community and the whole creative aspect of it! Happy blogiversary! I'm hoping to grow my Etsy business and network more with other bloggers this year. Happy blogiversary! I'm hoping to grow my Etsy business and network more with other bloggers. really want to get the website up and running this year!!! I'm just starting out blogging and this would be incredible, thanks!! I want to monetize my blog and start my own Etsy shop! I've been looking over Creative, Inc for years now, though the rest of these look amazing, too! I love blogging and would like to do it as more of a full-time endeavour. Happy blogiversary!! Blog-goal wise, I'd honestly like to gain more readers and followers b/c I know that what I write is worthwhile and many more people could identify. Thanks for this great giveaway! Happy birthday !! 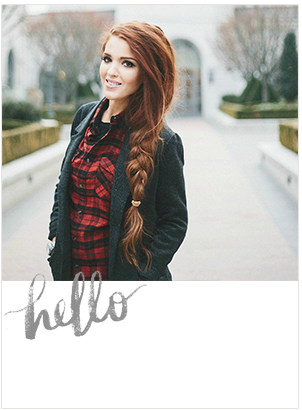 I think you are gorgeous and I love following your blog...it has a little bit of everything. I would love to win these book as it is something that I have thought if pursuing...just haven't made that first step. I would like to actually get my etsy shop open this year. I make tutu's and baby headbands and I just haven't had the courage to actually open a shop on etsy. I am so glad I found this before the giveaway is over! I actually was watching all of your videos on Youtube and I am now a subscriber! My goal this year is to acquire all the necessary skills to be the kind of blogger and business owner I want to be. In other words, to get a good camera, master photoshop elements, and shape up all my social media sites to bring my brand together solidly! Thanks for this opportunity! I'm looking to become an LLC this year!